World Water Day is an opportunity to reflect on the immense challenge that faces millions of people every day. Much of Sub-Saharan Africa, in particular, is notably off-track from the Millennium Development Goals[i], which come to an end this year. Yet hope is emerging from unexpected directions: the UK is leading pioneering research into how the un-tapped potential of Africa’s groundwater can be used sustainably and for the benefit of the poorest and most marginalised peoples. 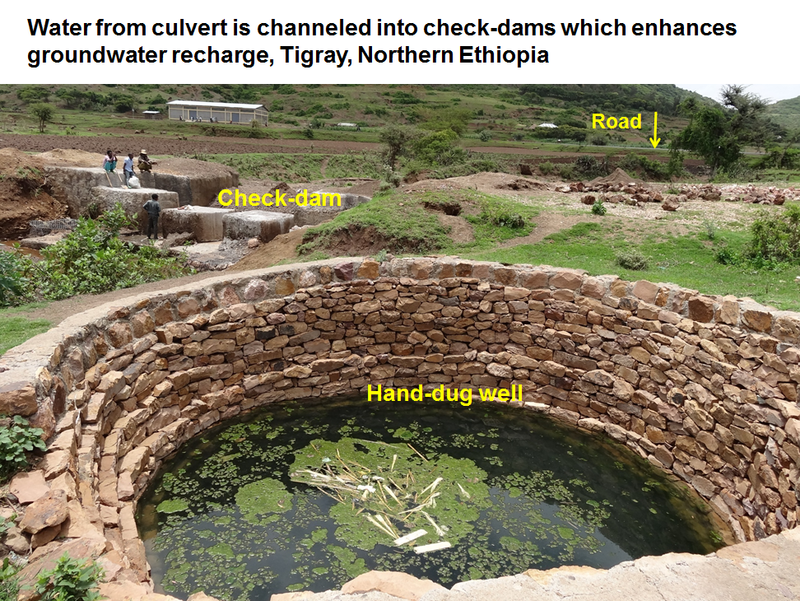 In Ethiopia, UK-funded research[ii],[iii] has demonstrated that roads can be designed for more than just carrying vehicles; water, which often causes problems with flooding and soil erosion, can instead be caught by road embankments and channelled into ponds. From there the water is either used directly by farmers for irrigation, or it soaks down to the water table, where it can be pumped out in the dry season for use in the home or on the fields. 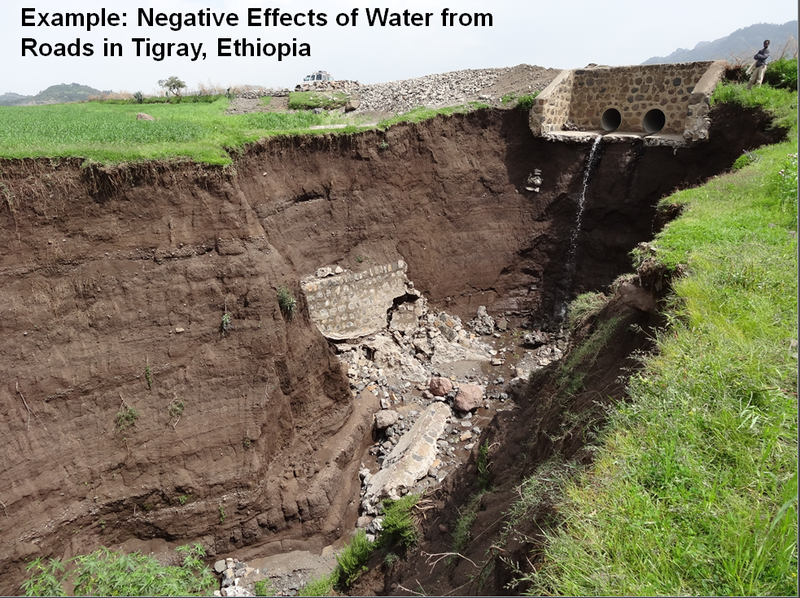 Low-cost solutions have been proven, and their rapid uptake by Regional and local Government and communities in the Tigray region of Ethiopia holds much promise for scale-up elsewhere. [iii] “UPGro – Unlocking the Potential of Groundwater for the Poor” is a seven-year international research programme (2013-2019) which is jointly funded by UK’s Department for International Development (DFID), Natural Environment Research Council (NERC) and in principle the Economic and Social Research Council (ESRC). It focuses on improving the evidence base around groundwater availability and management in Sub-Saharan Africa (SSA) to enable developing countries and partners in SSA to use groundwater in a sustainable way in order to benefit the poor. UPGro projects are interdisciplinary, linking the social and natural sciences to address this challenge. They will be delivered through collaborative partnerships of the world’s best researchers. The programme’s success will be measured by the way that its research generates new knowledge which can be used to benefit the poor in a sustainable manner.